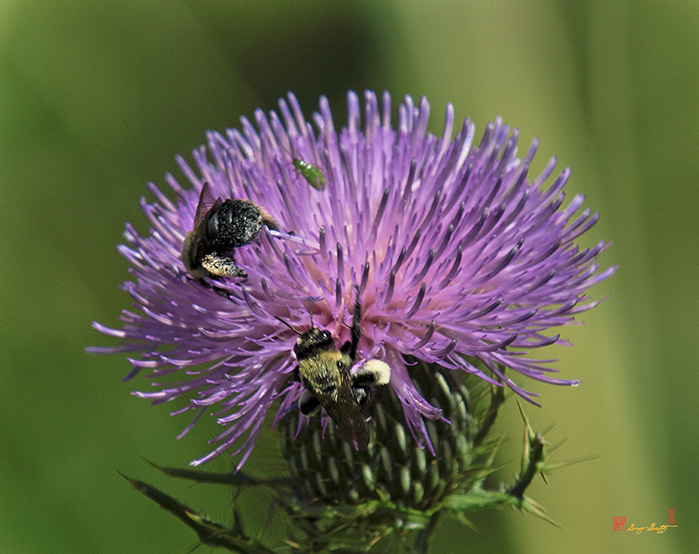 2007 Photograph, Bumble Bees (Bombus sp., Family Apidea) on Thistle, Occoquan Bay NWR, Woodbridge, Virginia, © 2018. These two gave new meaning to the phrase "busy as bees". They were almost frenetic in their pollen gathering.